Fight crime with DC Comics’ Batgirl and Robin within the streets of Gotham with the all-new The LEGO Batman Movie Story Pack for LEGO Dimensions! Build an all-new Bat-Computer gateway to your LEGO toy Pad after which turn on Batgirl’s and Robin’s special abilities to resolve puzzles and battle enemies. Take flight with the Batwing to accelerate your game play, afterwards rebuild it into The Black Thunder and Bat-Tank for enhanced in-game powers. 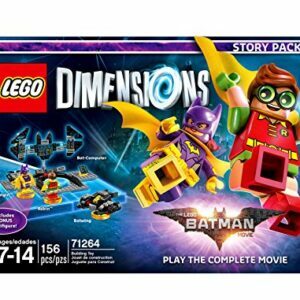 The LEGO Batman Movie Story Pack set features a Bat-Computer gateway build, buildable Batgirl and Robin minifigures, a three-in-1 Batwing vehicle, six new game levels and The LEGO Batman Movie Adventure World with a Battle Arena. 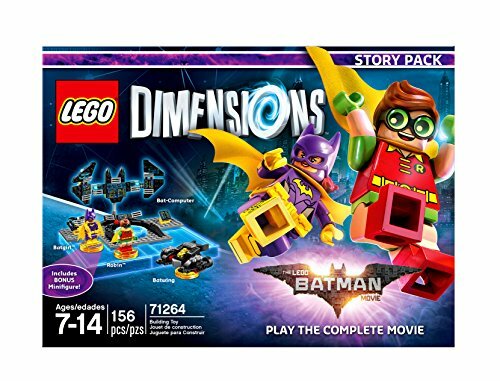 The LEGO Batman Movie Story Pack includes buildable Batgirl and Robin minifigures, rebuildable 3-in-1 Batwing vehicle, and Bat-Computer gateway build. Unlocks six levels of action-packed THE LEGO BATMAN MOVIE game play and an Adventure World with a Battle Arena. 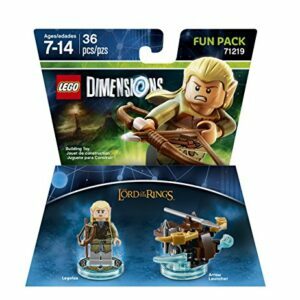 Characters and models come with a detachable LEGO toy Tag. With the LEGO Batman Movie Story Pack Rebuild the Batwing into The Black Thunder and Bat-Tank. 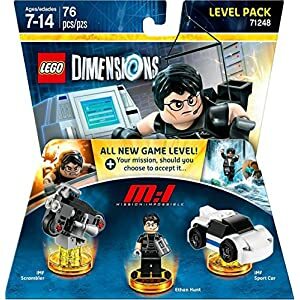 Place Batgirl, Robin and their vehicle at the LEGO toy Pad to bring them to life within the game. 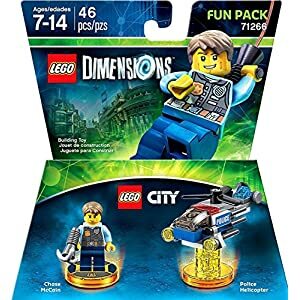 Collect your favorite LEGO DIMENSIONS characters and use them in-game in combination for a mash-up multiverse of your favorite characters.